Today all soloists of the upcoming St Matthew Passion met for a vocal sound check. Wonderful singers from different musical genres in an exciting and inspiring fusion! 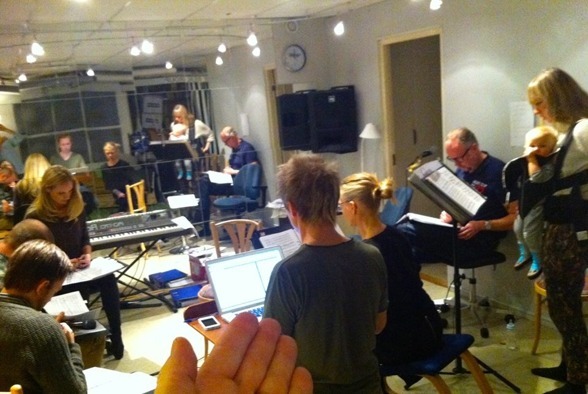 The Real Group; Katarina Henryson, Anders Edenroth, Morten Vinther and Anders Jalkéus (Emma Nilsdotter abscent) together with Janna Vettergren, Conny Thimander, Lars Arvidson and me! 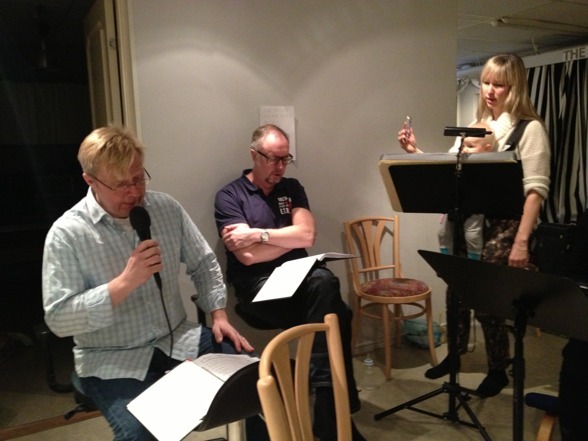 Anders Jalkéus, Lars Arvidson and Janna Vettergren during rehearsal! 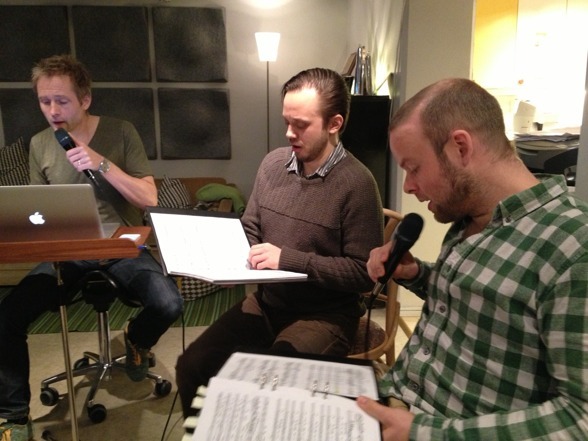 Anders Edenroth, Conny Thimander and Morten Vinther during rehearsal!